Posted on Saturday, September 24th, 2016, by Brenda Pottinger under featured. 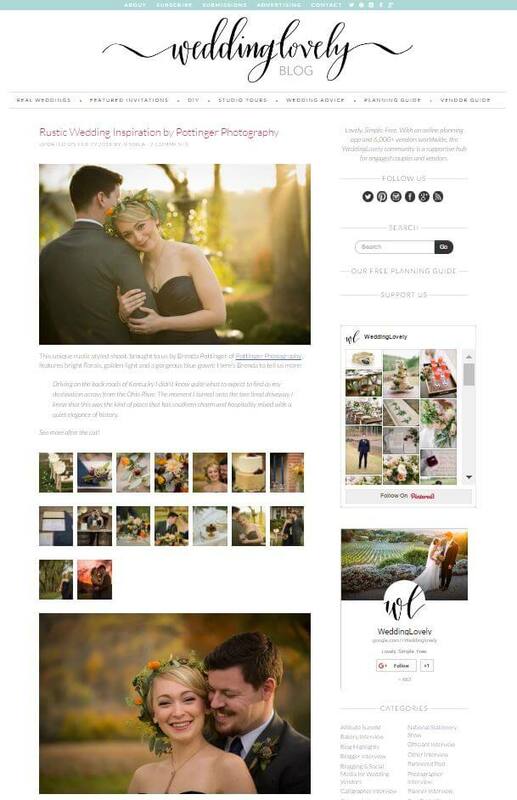 We love being featured on the international Wedding Lovely blog! Be sure to check out our fun fall inspirational photo session at the beautiful Richwood on the River.